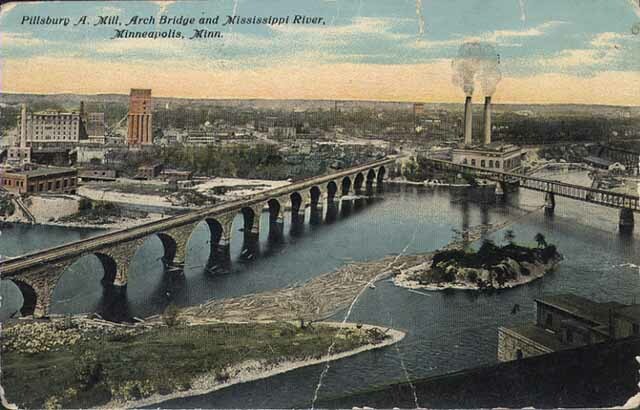 St. Anthony Falls and the area surrounding it became the milling capital of Minnesota in the second half of the 19th century. The mills, for both lumber and flour, were built alongside the falls to capitalize the power that the rushing water provided. In the 1850s, mill owners constructed canals and tunnels around the falls to supply the mills with water and to discharge used water and waste. 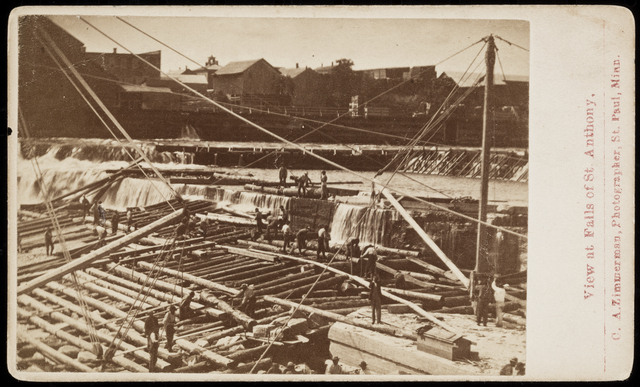 Slowly, constant upgrades and modifications made to ensure the stability of the falls and the productivity of the mills tamed the wild and unruly St. Anthony Falls. 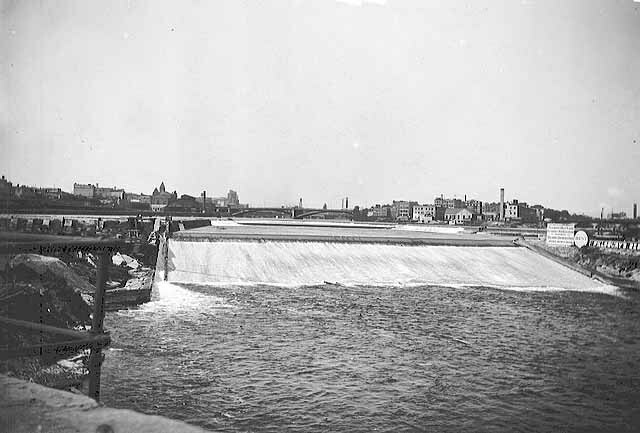 Even though St. Anthony Falls provided seemingly ideal conditions for a thriving a milling district, the geology of the falls was more fragile and susceptible to erosion than its early developers realized. Characteristic of the surrounding area, the district was built on the base of a hard limestone cap and a soft sandstone base. This made it easy to drill tunnels through the soft sandstone under the falls, but it also created a geologically unstable landscape when combined with flowing water. 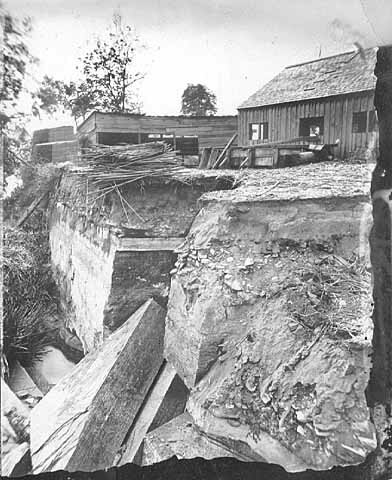 In the 1860s, Minneapolis pushed for the construction of an “apron” over the falls, which would protect the falls by rerouting the water over wooden planks, slowing the flow and protecting the sandstone layer from further erosion. 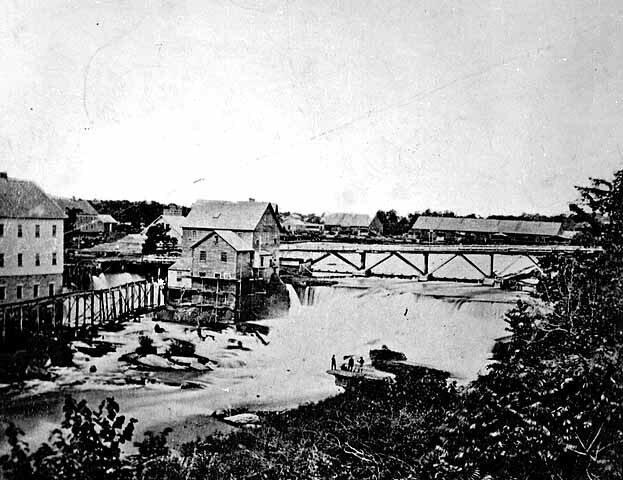 In 1867, a flood destroyed the recently completed apron, overwhelming the mills and sweeping away the lumber booms, the barriers meant to contain the logs. The flood further destabilized the falls and the thousands of logs released from the lumber booms battered buildings perched along the river. Fears were voiced that another flood like this would completely destroy the falls and the river’s infrastructure. By 1869, the construction of a new apron was underway. As its completion neared, an article in the Tribune optimistically wrote, “the mighty falls of St. Anthony have been made to succumb to man and are now as subject to his will as a child.” Unfortunately, the power of the falls was yet again underestimated. In the fall of that same year, Hennepin Island collapsed, resulting from one disaster after another. The owners of the island built a tunnel beneath it, but in October of 1869, the rushing water pummeled the lower end of the island and washed away a chunk of the island. There was no hope for mills on the island and volunteers began salvaging what they could carry. During this, parts of the tunnel collapsed and the volunteers tried to block the tunnel gaps with miscellaneous materials, such as logs and dirt, but to no avail. Their next idea was to build a raft from the lumber on Nicollet Island, which was guided over the collapsed opening. The raft could not withstand the powerful flow from the gap, and as it came apart, the volunteers noticed that another section of Hennepin Island had washed away. In 1870, spring floods washed the rest of the new apron away. Minneapolis and its millers felt powerless compared to the fierce falls. Despite these repeated setbacks, the residents of Minneapolis knew that they could not abandon the reinforcement of the falls or else their famous mills would be no more. Construction carried on, expanding to include the dikes and dams that were installed in the following years. By the mid 1880s, the wild falls were finally stabilized. The industry along the falls continued, and the flour mills powered well into the early twentieth century. Takuya Amagai, Sahree Kasper, and the Minnesota Environments Team, “St. 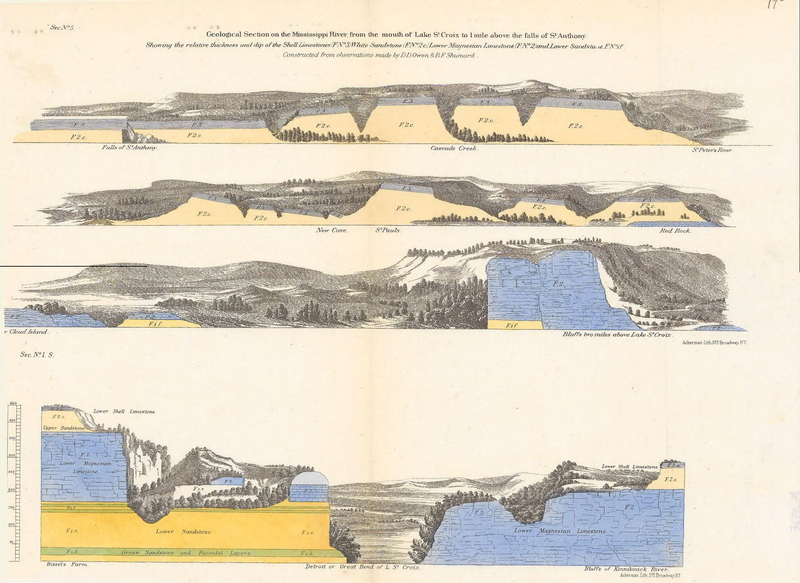 Anthony Falls,” Minnesota Environments, accessed April 26, 2019, https://mnenvironments.carleton.edu/items/show/20. On the construction of an apron before 1869, see Shannon Pennefeather, Mill City: A Visual History of the Minneapolis Mill District (St. Paul, MN: Minnesota Historical Society Press, 2003), "Harnessing the Falls: Building an Apron." Are all the locations on Minnesota Environments publicly accessible? Placing historical stories on a map can be tricky. We choose locations based on what we think makes the most sense. Sometimes we get it wrong (and sometimes there is no "right" answer). Feel free to email us at gvrtis@carleton.edu with suggestions for improvement.